Take the 2017 Passover Pledge! 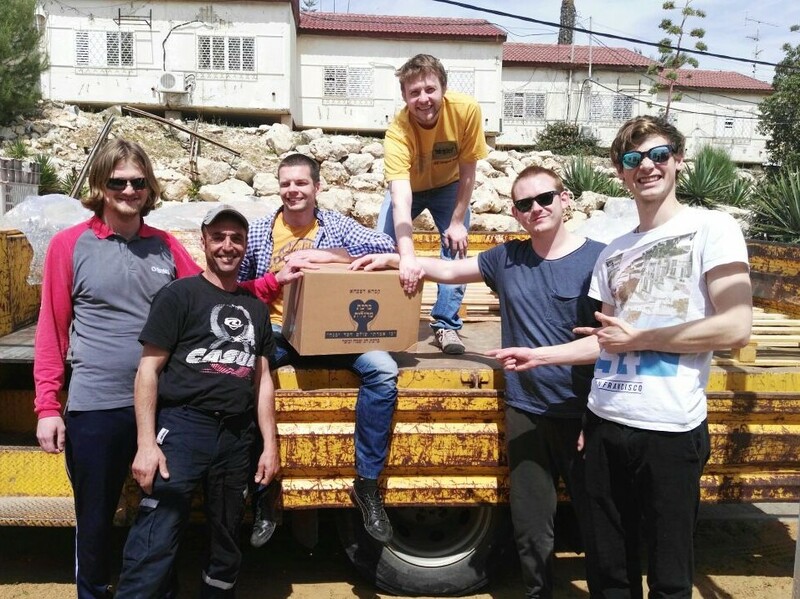 MASA Israel-Ariel volunteers package food packages for Passover 2017.
with dignity. From sponsoring Passover food packages to a seat at the Ariel Seder, you can step into the Ariel story by allowing the city’s less fortunate to relive the experience of redemption. 1005 Passover food packages providing the most basic Passover goods for needy families. With a $50 contribution we can match funds and deliver a package worth $135. 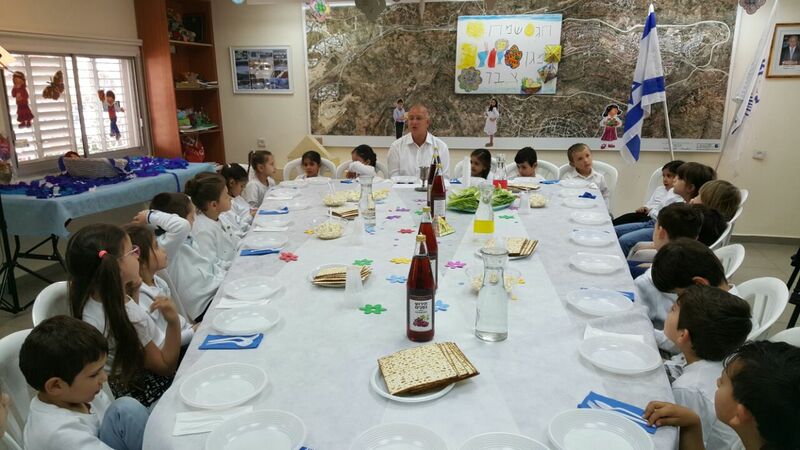 Mayor Eliyahu Shaviro holds a mock Passover Seder with local kindergarteners. 1140 food coupons for senior citizens, largely Russian immigrants who live on Social Security. Sponsor a senior for only $18. 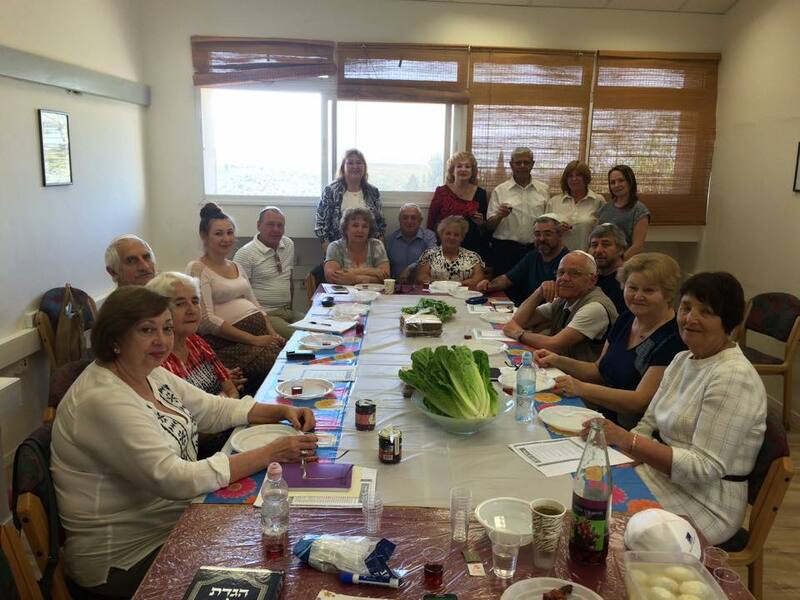 Ulpan students hold a mock Passover Seder with the Ariel Religious Council. share the holiday. Your contribution of $36 will sponsor one participant. Click here to take the Passover Pledge. Some people just can’t contribute, but that doesn’t mean you can’t join our community. “Like” this campaign, join us on Facebook, and spread the word via e-mail and all your networks.